Beringer Vineyards holds the distinction of being the oldest continuously operating winery in the Napa Valley. It is, in my humble opinion, one of the finest wine-growing regions in the world, where several wineries in this beautiful valley all had the same problem: farm equipment needs to be washed. Washing farm equipment takes a lot of water, and even if the water comes from wells, doing so pulls water away from irrigation and other needs–not to mention that the run-off after cleaning can be a problem. The EPA and California environmental authorities frown on wash water running into the Napa River; in fact, they fine for it. The fines in turn become, as you might guess, a built-in cost of doing business. As wines became more mainstream and affordable, the wineries have found their growing customer base sensitive to the environment and sensitive to practices not organic or not earth-friendly. The wineries have a problem because perception is reality. 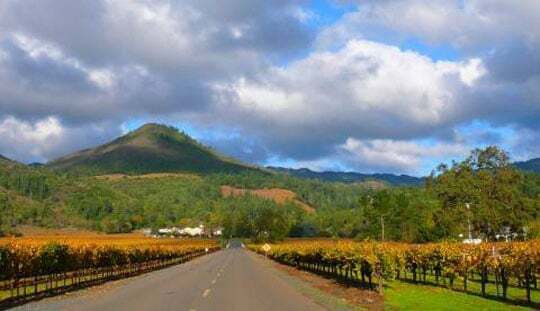 The business-as-usual practice of washing and letting the run-off go where it may caused a problem–not only to the Napa River–but to environmentally savvy customers who may turn from that winery’s label. What was nothing more than a fixed cost of doing business, now became a liability that could cost much more than the fines; they could lose business. I’m happy to say this is another case of brains rule. Starting with Beringer, the oldest continually run winery in Napa Valley (now Beringer Blass, owned by the Fosters Group), some wineries have begun to implement water reclamation systems, to capture, treat, filter and re-use the water that would have ended up in the river, over and over. There is no run-off, no sewer and the only water lost is that which evaporates or is carried off on the equipment. Another benefit is the ozonated water disinfects the equipment and helps to prevent potential pathogens from spreading from field to field after the equipment is washed. 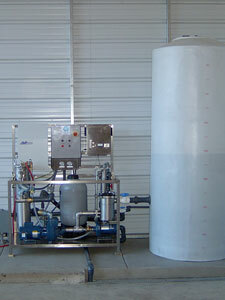 A FilterJet 300 with on-board ozone and oxygen is used in the equipment wash down area. An identical system is also now used at Chateau St. Jean in Kenwood, CA in beautiful Sonoma.